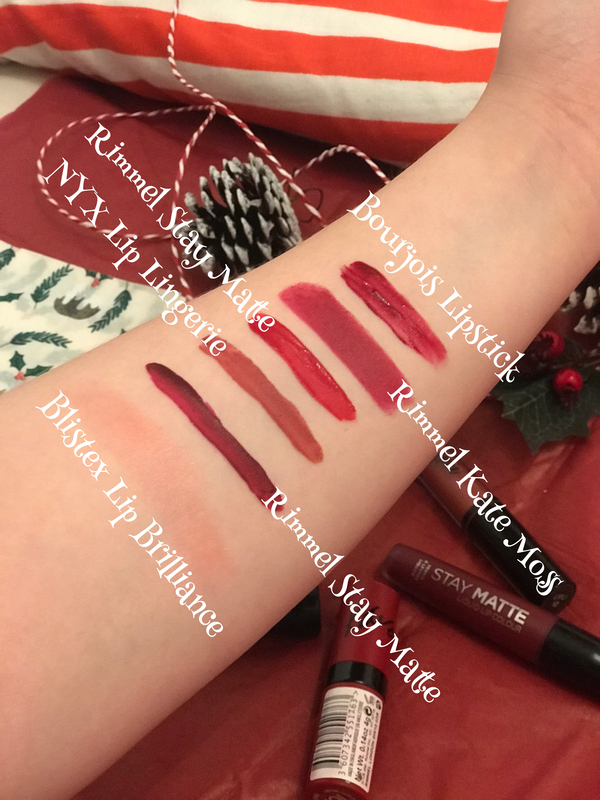 It wouldn’t be right if I didn’t create a winter lipsticks post for you guys. 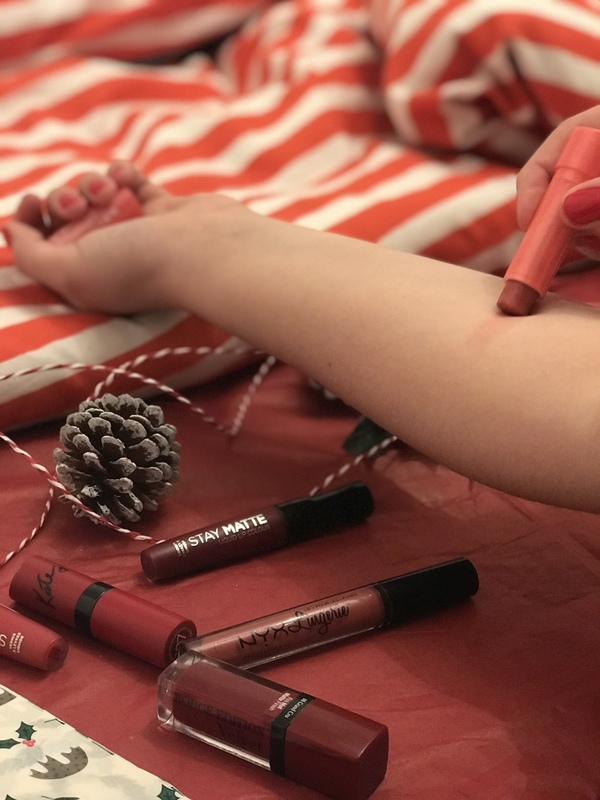 I love lipstick just as much as the next person does, I seem to love it a bit more during this time of the year as the reds, the berry and even metallic golds (depending on how brave you are) comes out! I did an Autumnal lipstick post so click here if you want to check that one out! 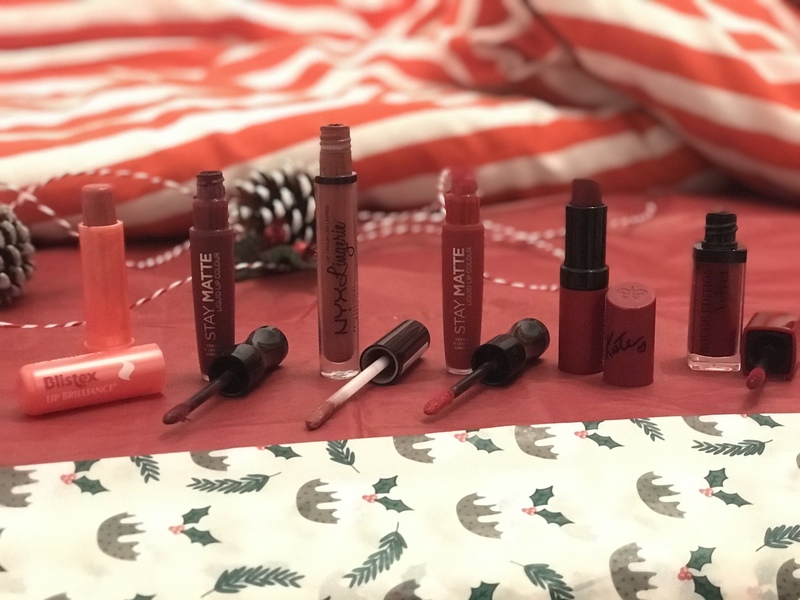 There might be one or two lipsticks that I mentioned in that post in today’s post because they are the perfect lipsticks for this time of year also. I really like this as it is a lip moisturiser but it has a really nice pinky sheen to it. It is great if you want a bit of colour to your lips but if you want to keep them moisturised. I have been using Blistex for a couple of years now and their intensive moisturiser lip balm Is really good and it smells amazing. This lip moisturiser takes really good and keeps your lips nourished but with a hint of colour. Keeping your lips moisturised is important, especially as when it is cold my lips get so dry so I like to wear this sometimes instead of a lipstick. When I went to the Rimmel counter my eyes were instantly drawn to this colour as I think it is such a lovely colour and I already knew that the formulation was amazing and it literally lasted all day. 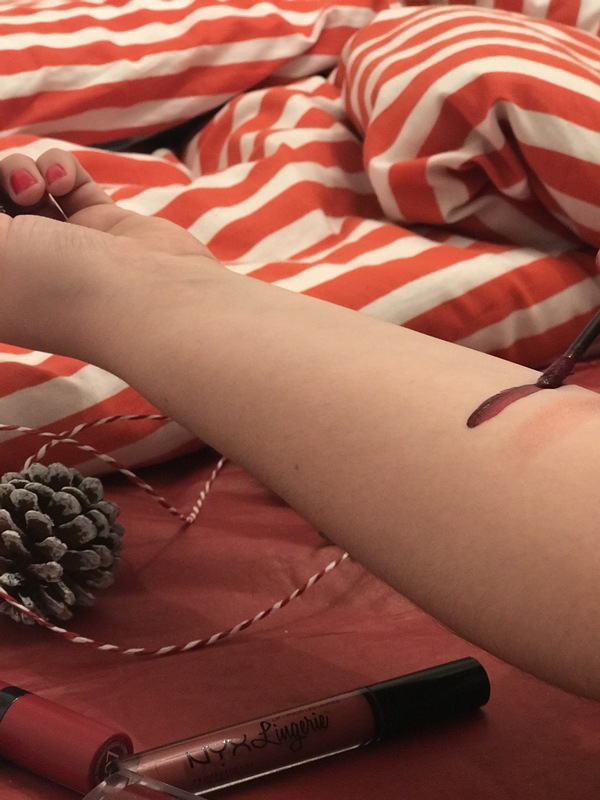 One thing about this colour is that it is really streaky which is annoying because I have a couple of other colours and they aren’t anything like this shade. The colour is so lovely, but it is very streaky so you do need to go over it a couple of times. I also find that this lipstick gets crumbly and little bits of the lipstick flake off my lips which is also annoying. Therefore, I will only wear this lipstick when I know I am going to be wearing it for a short amount of time. However, I love the colours, the formulation but this just isn’t the best lipstick from their whole Rimmel Stay Matte lipsticks and I think it is because it is a dark colour. Nyx Lingerie lipsticks really quickly became some of my favourite liquid lipsticks ever. They feel really light on the lips and they apply amazingly well. I also really like the formulation of the product because it is like a whipped lipstick and then it dries down to a matte finish. The lipstick does last a long time and it keeps its colour aswell, it doesn’t fade. The dove application is really thin and I find this so easy to apply my lipstick because I can be really precise when outlining my lips. 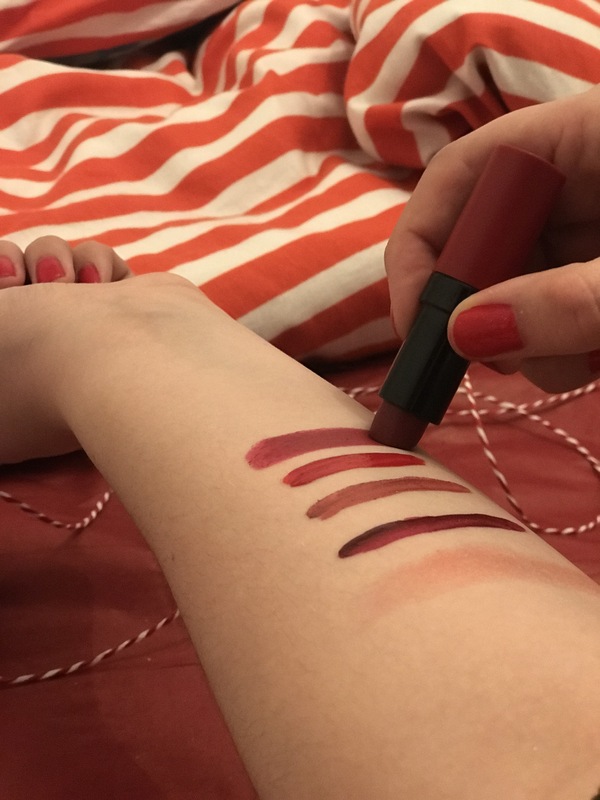 I love the colour of the lipstick as it is a really nice burnt red / rust colour and I like that it isn’t just a normal red colour. I am not really sure why my hand looks photo shopped here hahaha! but I love this lipstick it is such a gorgeous classic red colour. 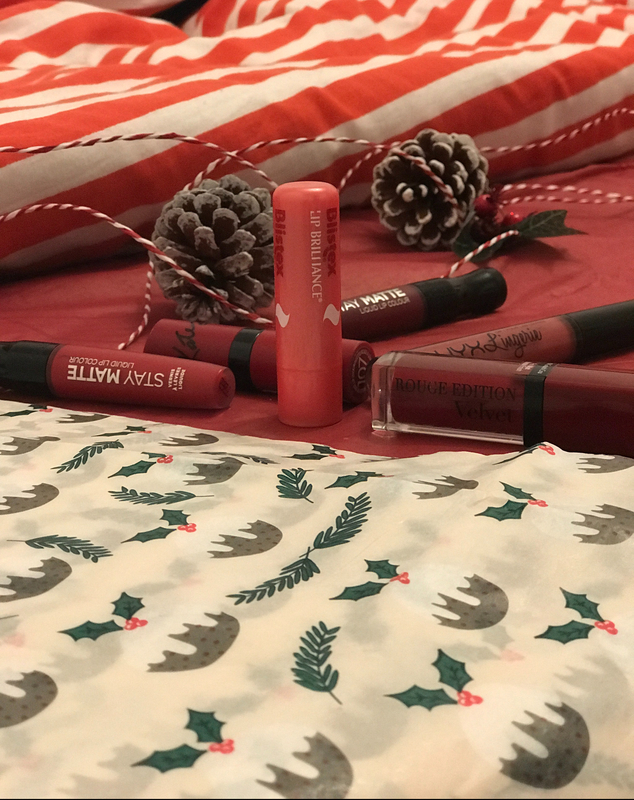 It is the Rimmel Stay Matte in the shade Firecracker and it is a proper christmasy bright red colour. It is so so so stunning and I love wearing it. This colour doesn’t crumble and it lasts all day, it is like the other Rimmel Stay mattes that I have where it lasts all day and doesn’t fade. I wore this when I went for cream tea for my mum’s birthday, I ate all of the christmasy food, drank tea and prosecco and my lipstick didn’t even move. My two sisters then went out a brought a couple of these as they are so amazing. I would 100% recommend this if you are looking for a red liquid lipstick because it is so amazing and great value for like £5. 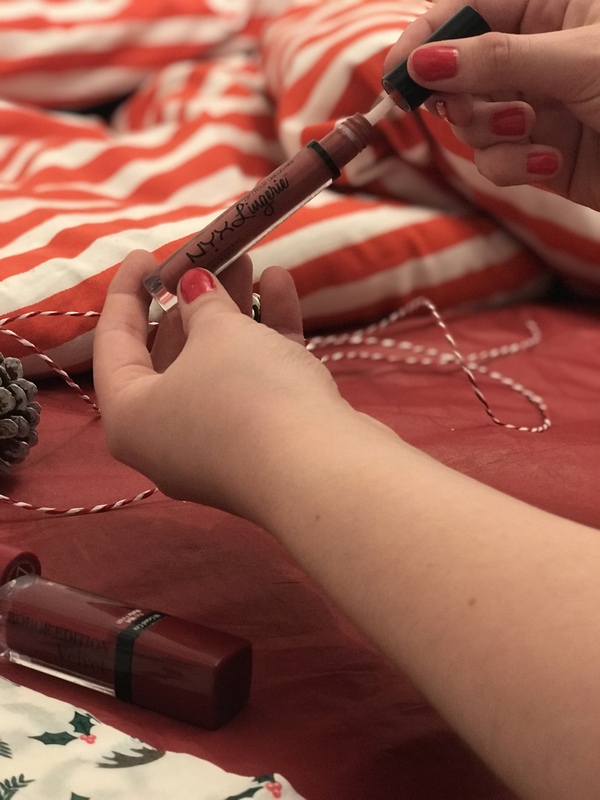 Rimmel Kate Moss is such a classic berry red colour and I think it is such a stunning colour, especially for this time of year. This lipstick is a matte lipstick but it isn’t a liquid lipstick and every time I use it, I remember how much I love wearing a normal lipstick. 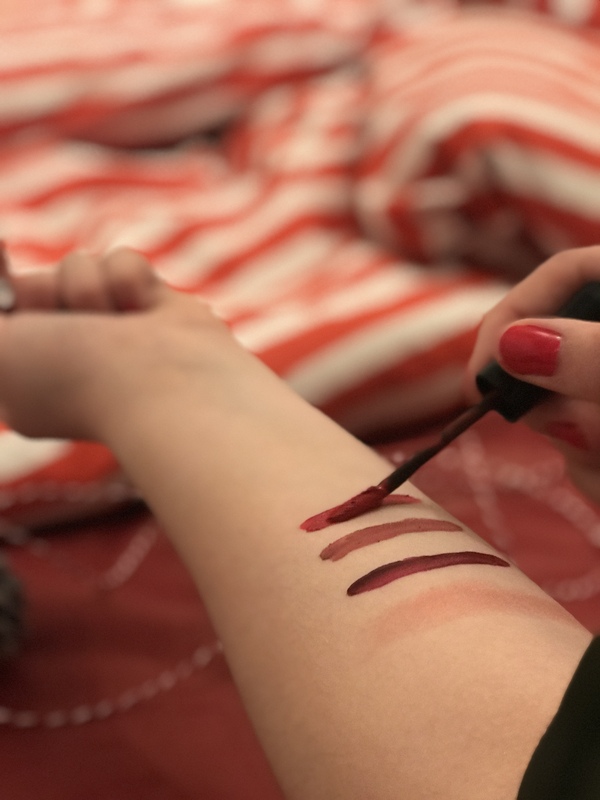 This does stay on for a long time, but because it isn’t a liquid lipstick it does rub off when you eat or drink however, it is so easy to apply that I don’t mind this. I like the packaging of this lipstick too, it stands out in my little lipstick holder because all of my other ones have a black outer packaging, it’s easy to find. Even though the lipstick does move around on your lips, I do find it really comfortable to wear throughout the day and because it is small you can carry it around in your bag pocket. This is a newer collection to my lipsticks and definitely makes the list for my favourite winter lipsticks. I received this a couple of weeks ago now and when I first used it I was in love with the colour and how easy it was to apply to my lips. 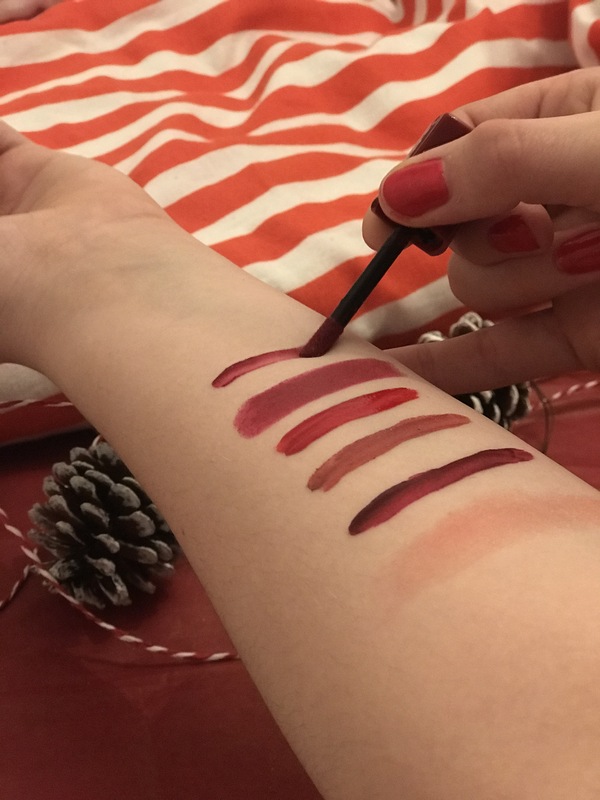 It goes on very smooth, I don’t feel like I need to hold my breath while putting my lipstick on (sometimes you know you have to hold your breath to get a good application, or is that just me?) I was very confused with this lipstick though because I thought it was a liquid lipstick, but it sort of half dries matte because it can transfer like if you are having a tea it will be on your cup. I was expecting it to be more of a matte finish because that was what I wanted, but it is such a lovely colour. 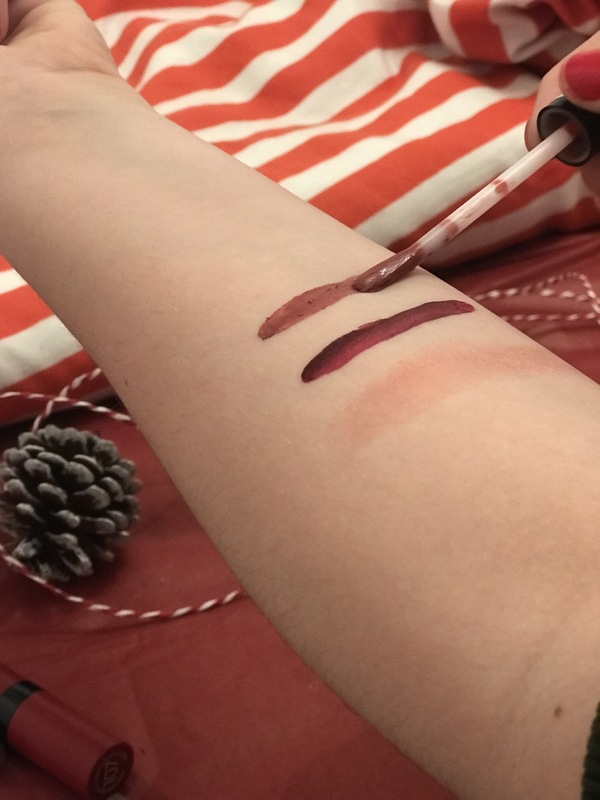 Another thing is that it is really liquidy which means that it is streaky, you can see in the swatch down below it isn’t super pigmented. You definitely have to go over it a couple of times, but I do really like wearing this lipstick I just wish it was more matte. I also think the packaging is super cute too, I was dying to try these lipsticks for ages. Do you have a favourite winter lipstick? I’ve recently bought the Blistex one! I love the Sleek Matte Me in Roija Red! Ahh nice! do you like the Blistex one? I just googled the Sleek one now and it is such a lovely colour!